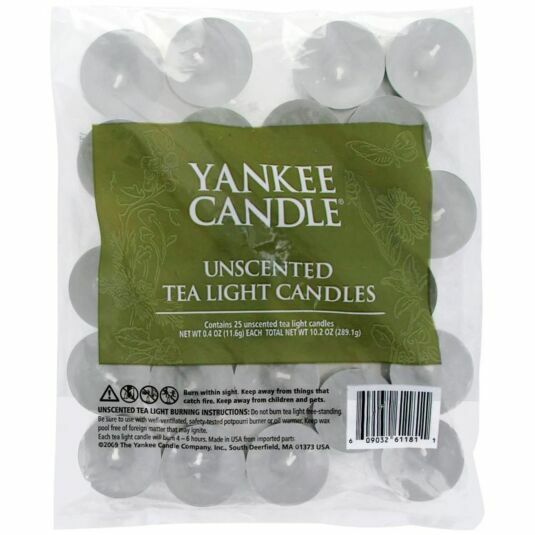 Bring some light into your home with this pack of 25 unscented tealights from Yankee Candle. Great for use around the home, and perfect for combining with a Yankee Candle melt warmer, the 25 pack is sure to last you a while. Simply place them in any wax burner and the heat from the tea light will melt the wax melt on top and release a beautiful fragrance.